Today, 3 primary cloud deployments are available for enterprise software – public cloud, private cloud, and hybrid cloud. However, many vendors force enterprises to choose between data security or cloud deployment flexibility – rarely both. 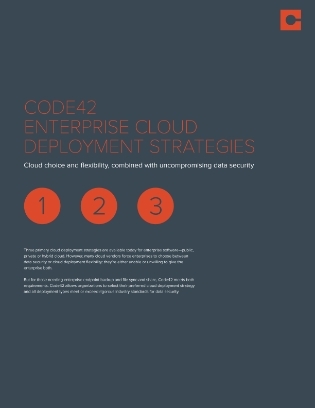 For those in need of enterprise endpoint backup, this white paper highlights a system that lets organizations select their preferred cloud deployment strategy, ensuring they meet or exceed industry standards for data security. Read on to get the flexibility you desire, and the security you need.